Natural range Southern Korean Peninsula, eastern continental China, and Japan (Honshu, Shikoku, Kyushu, and peripheral islets). Eastern (or possibly entire) Japan populations might be non-native. Habitat City area. In western Kyushu, this species occur rocky habitat along beach. Range in Japan Coastal parts of Honshu, Shikoku, Kyushu, and peripheral islets. Route Accidental: Hitchhiking on some transport. Impact Unknown. If the populations in the western Japan are non-native, hybridization with the native species Gekko tawaensis can be regarded as an impact from the invasive species. Toda et al. 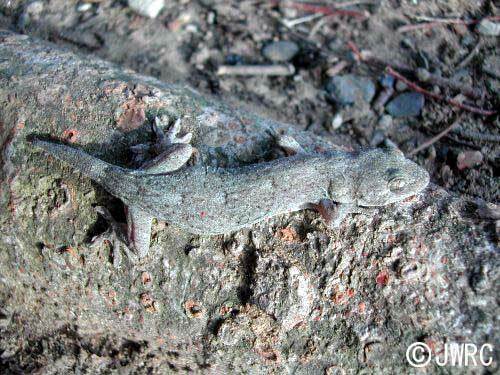 (2006) Extensive natural hybridization between two geckos, Gekko tawaensis and Gekko japonicus (Reptilia: Squamata), throughout their broad sympatric area. Biochem Genet. 44, 1-17.